EK Water Blocks, Ljubljana based premium liquid cooling gear manufacturer, is expanding its popular EK-XRES Revo D5 lineup with a new and redesigned Glass edition of the popular EK-XRES Revo D5 reservoir pump combo! EK-XRES 140 Revo D5 PWM Glass is a High-Performance water cooling pump with integrated reservoir. The core of the unit is the market-proven Laing D5 PWM water pump. This unit offers increased hydraulic performance (up to 15 %) compared to original Laing D5 PWM. The new models are given the Glass label because the reservoir tube is made out of high quality borosilicate glass and this is the first differentiation from non-glass Revo reservoirs. The second is preinstalled central Stainless Steel pipe that serves as a suction point – pipe is hollow and is feeding the pump with liquid – and also holds the top and bottom together. 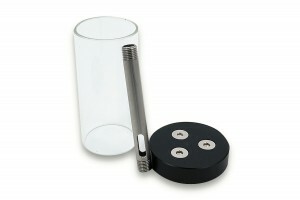 The tube is threadless and is not compatible with non-glass Revo products. EK-XRES 100 Revo D5 PWM Glass is the smaller unit and features shorter glass tube. 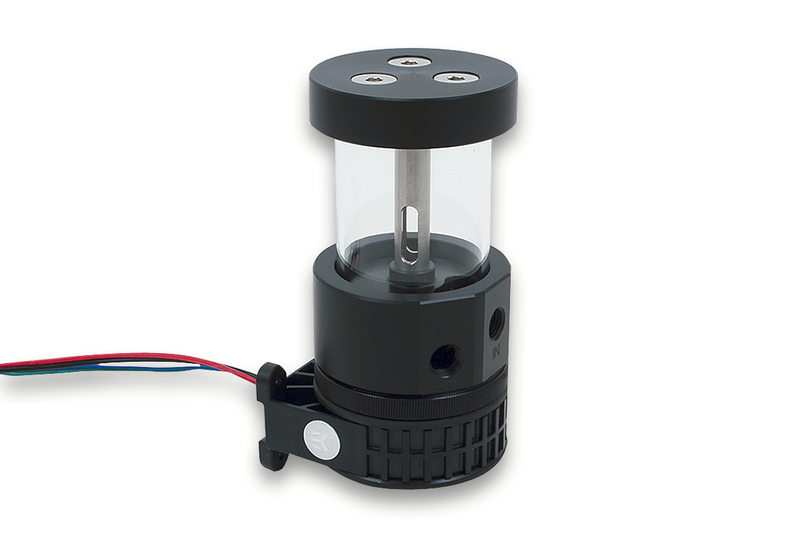 Reservoir’s top features three G1/4″ threaded ports, which are intended as fill port. Any of the top ports can be also used as an inlet port in that case EK-Extender M-F G1/4″ must be used. 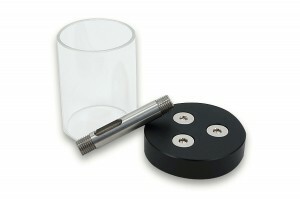 Both, top and bottom, are made of quality POM Acetal material. Additionally, a PU anti-vortex foam is enclosed and can be used to reduce excessive vortex issues. 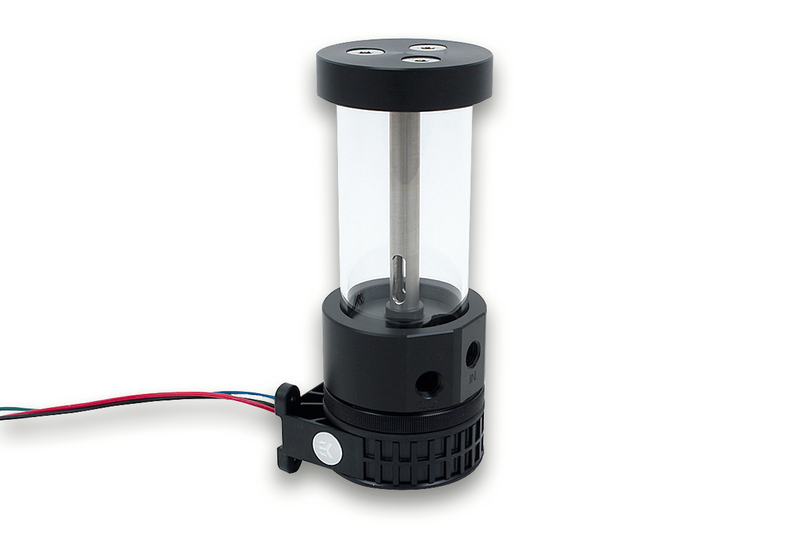 This reservoir pump combo unit can be mounted directly on the computer chassis by using enclosed Revo D5 Holder. EK-XRES Revo D5 PWM Glass units are made in Slovenia, Europe and are readily available for purchase through EK Webshop and Partner Reseller Network. In the table below you can find MSR prices with VAT included.